Recently Korean Pop (K-Pop) industry find its momentum and growing rapidly, Messerlin and Shin (2017) found that the total sales and added value growth from K-Pop industry has grown 11-12% during 2006 to 2013. Not to mention the global K-Pop phenomenon that slowly dominates Western market. Long before Psy's Gangnam Style hit the world in 2012, several K-Pop group such as Wonder Girls, Big Bang, and 2NE1 tried to penetrates Western market by releasing collaboration single with well-known western artists such as Will.I.am and Akon (1)(2). Then when K-Pop started to receive Western's public acknowledgement, more artists were releasing collaboration and attended American Music Awards. The third generation K-Pop group such as Bangtan Seonyeondan (BTS), NCT, and GOT7 are now being acknowledged globally and influence the K-Pop industry to expand the market growth. The question is: How Korean Pop Industry Is Going Strong Through The Years? There are various factors that makes K-Pop music steady growth in past decades. Public Visibility (3), Performance and Visuals (4), Cultural Diamond Model (5), Innovation in Music's Instrument and Pattern (Lee, 2011). Korean music industry adapts cultural diamond model that contains of creators, contents, distribution, and consumers (Seo, 2012). The system of Korean music industry was built from scratch, including scouting potential talent, training period, debut preparation until maintaining sales stability until the particular artists got public recognition (7). Those process takes costs and time to be done and some groups especially who comes from smaller entertainment agencies didn't make to the fame (8). Despite the risk of not being a successful group, young generations are still giving their shot to become an idol (9). Thus, Korean music industry will be able to produce more idol groups in the future and maintain their position as contributor of economic growth. Korean music industry cannot be separated from the number of album sales, especially when the album sales determine the survival and the popularity of group in the industry. 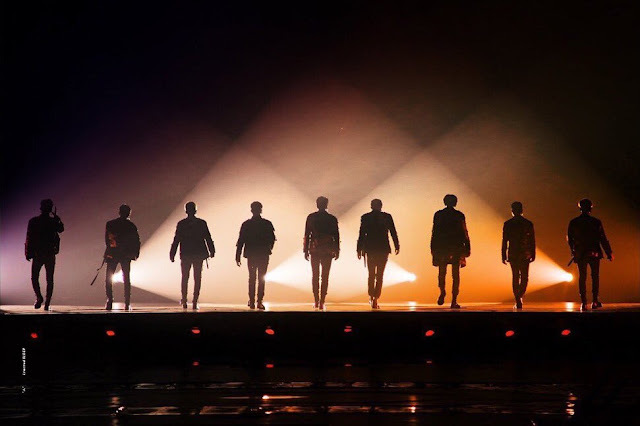 For example, EXO has been crowned as quintuple million seller since their first album in 2013 XOXO (10) and this group has recorded almost 4,48 Million fans all over the world (11). The main factors of the sales are fandom loyalty, the promotion scheme, and the album itself (12). With high number of fandom who is loyal to a group, entertainment agency will receive huge number of sales and profits. The reason why fans are willing to buy the album is because K-Pop albums are different from Western's artist album (13). K-Pop albums are produced as photo-book which lure the fans to collect them, it is also embedded with collectible photo-cards with random members so fans wouldn't know which member they will get. K-Pop industry utilises fans' biased behaviour (14) to boost the sales of the album. There is common practice called 'biasing' or favouritism to particular member. Knowing the fact that a fan will surely buy album consisted of her/his favourite member, K-Pop albums are designed to have random photo-cards of member. K-Pop albums usually sold in various versions to increased the number of sales (15). The more market K-Pop idol groups are targeting, the more language the album will be released. Such marketing method won't be found on Western's artists album because they sell their music not the visuals nor the charm of each band member. In Behavioural Science, K-Pop industry actually exploits consumer's bias. Considering the behaviour of the fans, K-Pop industry effectively applies Endowment Effect. Kahneman and Tversky (1979) defined Endowment Effect as people will value things they own more than things they do not own. Since fans are tend to 'own' their biases, they are willingly to spend resources for collecting merchandises, albums, or even attending concert which are not cheap (16). In some extreme cases, fans even bother to follow their favourite group/member and invade the privacy. Rational fans won't do such extreme way, they will feel enough by buying sufficient amount of albums and merchandise. However the scoring system of K-Pop music industry and popularity measurement drives the fans to do irrational consuming. This phenomenon contributes in K-Pop industry's sales growth over the years and leads to Illusion of control bias (17). Koreans music industry has a unique way to appreciate artists, some broadcasting stations have their own music programs and giving awards each week (18). KBS's Music Bank for example, this music program weigh the awards for nominated candidate by giving score for broadcast performance (20%), digital music charts (65%), album sales (5%), and viewer choice (10%) (19). Whoever has the highest point by the end of the program will achieve the award. Digital sales as the biggest weighing contributors also exploits fans' behavioural bias. Since fans want their favourite group win the music program, they will stream particular group's song repeatedly in music app such as Melon or Genie (20). Of course streaming the artists' album track requires authorisation and payment. Hence, the entertainment agency will also generate profits from digital streaming platform and boost the consumerism of the society. Another thing that K-Pop industry utilises to be on top of their game is exploiting bandwagon effects (21), K-Pop industry produces idol groups with such quality that market will be pleased. Korean market usually attracted to visuals then talent (22). Few artists that received award didn't make to stardom because they are considered lack of visual besides poor promotion from the agency. Therefore, it is gradually being common for Korean industry to keep debuting handsome/pretty member to gain public attention. And since SM entertainment succeed with their training system during 1990s, the other agency adapted similar method for idol group debut preparation (23). The system then became common in Korean pop music industry until now. Recently bandwagon effects in Korean music industry was adapted in form of survival show. Superstar K which was held since 2009 might be the pioneer of debuting Korean idols without training system (24). Although some of Superstar K winner or audition participant gave their shot to join entertainment agency later year. The succeed of Superstar K then adapted by a number of broadcasting television and agency such as: Sixteen (2015) which successfully formed popular JYP Entertainment's group Twice, Produce 101 which successfully debuting Wanna One and I.O.I and receiving great attention from Korean audience, The Unit, Unpretty Rapstar, and Show Me The Money (25). The survival show considered helpful in marketing unrecognised idol groups (26) and reducing training period for potential juvenile to become an artist. 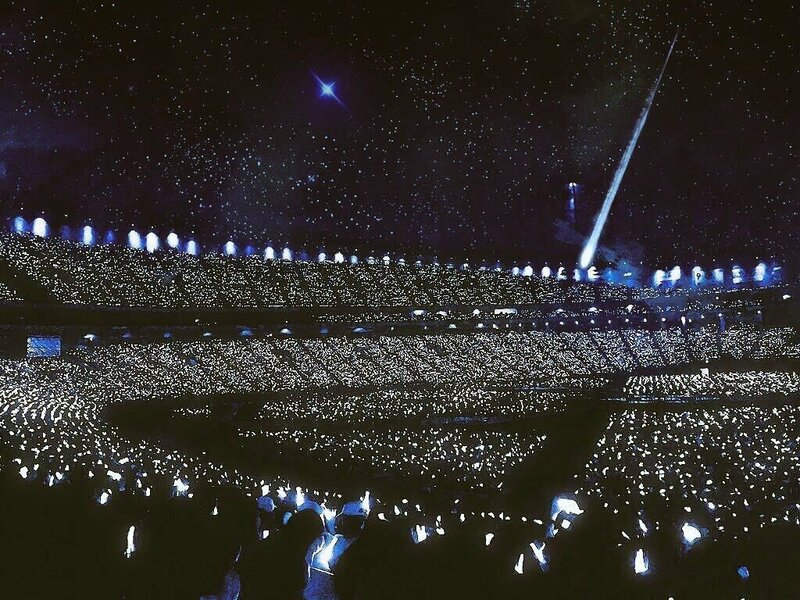 The marketing innovation, adaptable music genre, fandom engagement, and irrational behaviour exploitation could be considered as the supporting reason of K-Pop industry growth over the year. Especially when Korean music is accessible globally both through social media or mass media publicity. Bangtan Seonyeondan (BTS) is one of the most recognised K-Pop group globally since they were engaging directly with their fans through social media. Therefore, BTS was able to win Social Artist Award at American Music Awards (27). Despite of the music it self, it is important to do a deeper study of K-Pop industry's marketing scheme. From Behavioural Science perspective, K-Pop phenomenon offered great sides of behavioural exploitation that drives the success of the industry in such genius way. At last, it is okay to be irrational but it is also important to absorb new method of business and protecting consumer's right and financial management. K-Pop is interesting field to be examined further in terms of economic growth and financial development. In the future, it will be more interesting to study K-Pop industry by the perspective of Behavioural Science.